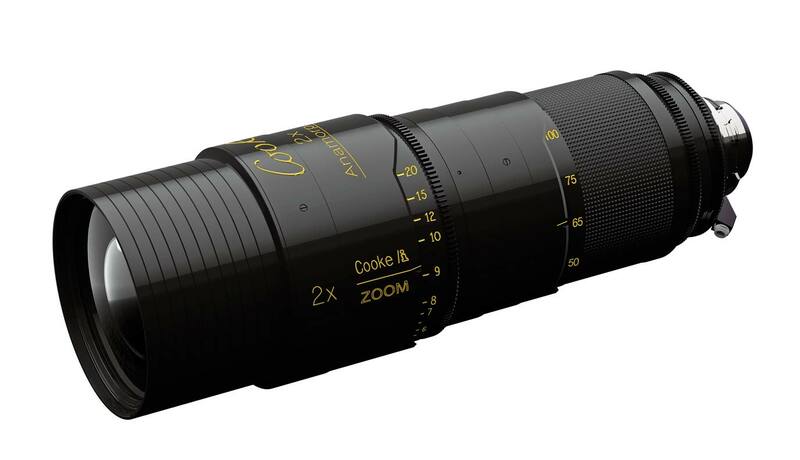 Cooke Optics has revealed details of their impending Front Anamorphic zoom. It will be 35-140 mm and may begin shipping around NAB 2016. Like the rest of the Cooke Anamorphic/i family, it will be a front anamorphic design, 2x squeeze ratio, with familiar oval bokehs. Similar details had been revealed at the Cooke NAB 2015 dinner last April under strict NDA. I guess silence was kept because a Harry Potter Confundus Charm was invoked, or perhaps the blood alcohol level in the room caused similar amnesia. This will be the first of two zooms in the Cooke Front Anamorphic series of lenses. A “long, front anamorphic zoom” should arrive towards the end of 2016. Knowing Cooke’s history of spherical zooms (30-60, 20-100, 18-100, 25-250), you don’t need the divination skills of Dumbledore to determine what it might be. Timeline review: Les Zellan announced Cooke anamorphic primes at Bei Grazie Restaurant during Cinec 2012 in Munich. The first sets of 5 Anamorphic lenses were delivered in April 2014: 32, 40, 50, 75 and 100 mm. The next lenses to come will be the 25 and 135 mm. Cooke has begun deliveries of the 25 mm, and the 135 mm should ship before the end of this year. The Cooke Macro Anamorphic 65 mm was announced at Cine Gear 2015, and deliveries will begin in November of this year as well. Next in line: Cooke Anamorphic 180 and 300 mm primes.